Having prepared for the appearance of the Bitcoin Cash blockchain, we did our best to split the coins correctly and credit all the BCH funds to our users, according to their Bitcoin balances at the moment of the hardfork. However, we took a break before enabling BCH deposits and withdrawals for the sake of the safety of our users’ funds. Now, we are confident that the network is stable and secure enough and welcome everyone to take advantage of the new feature. When splitting the coins, we have already created unique BCH wallets for our users. The good news is that now you can check out your unique BCH addresses when clicking on “Finance” tab in the profile. BCH deposits are free of charge, while withdrawal fee is 0.001 BCH. Finally, the cold storage feature that protects users’ cryptocurrencies applies to Bitcoin Cash along with other coins. 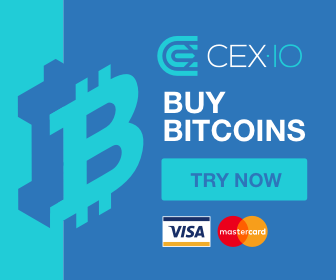 As you know, CEX.IO has also extended its markets with BCH trading pairs, such as BCH/BTC, BCH/USD, BCH/GBP, and BCH/EUR. Considering the ability to deposit and withdraw BCH, you are now welcome to take advantage of the full range of Bitcoin Cash services by CEX.IO, namely get profit from BCH trading, simply buy/sell BCH cash on the platform, or safely store your funds in CEX.IO profile.